Kershaw Macho Model 2120 smooth white bone scales and last made in 1989, Gerber Sportsman 1, Parker Hunter's Pride lockbacks. Kershaw Macho Model 2120 smooth white bone scales and last made in 1989, Gerber Sportsman 1, Parker Hunter's Pride lockbacks. We only have one each to sale. Parker Hunter's Pride Japanese ivory composite handles mint 3" closed. The blade is surgical steel. A very different lockback made by Parker before 1984. 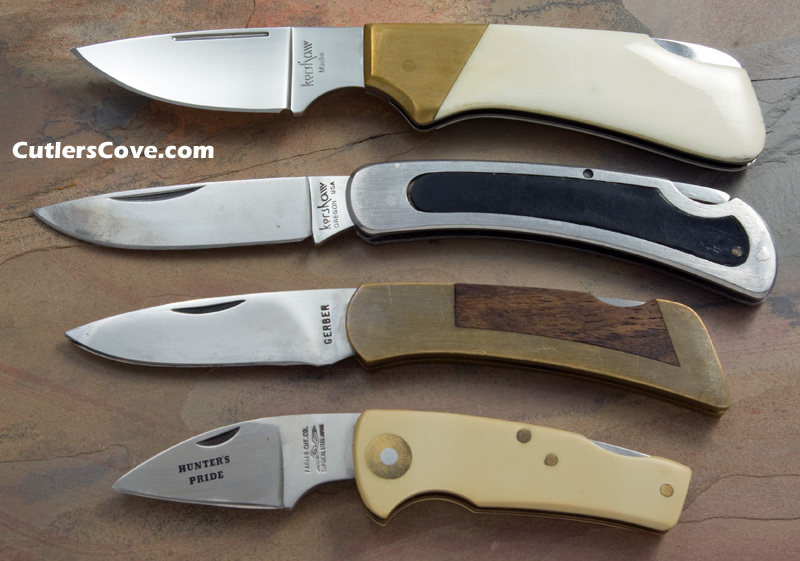 A good small skinner or caper knife. This is the only one of these we have ever seen.